How Will Shandon Plant Churches? Successful “Sending Churches”, or churches that plant new churches, across the country all have one thing in common – residencies. 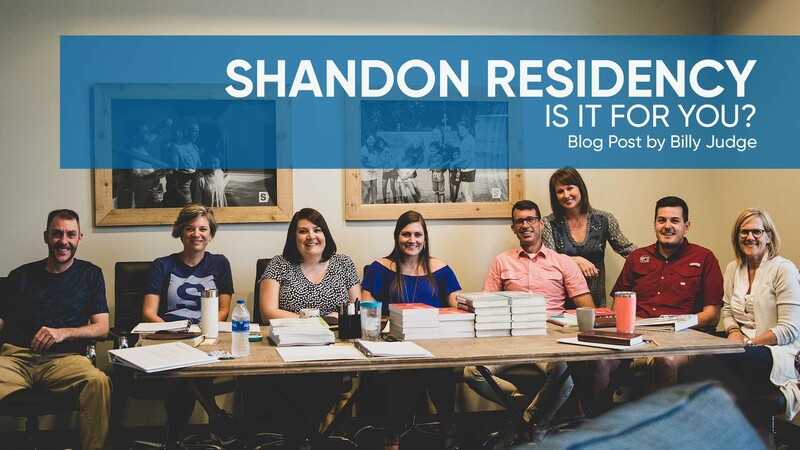 At Shandon, residency is a year-long, intensive, ministry training ground for men and women who are serious about being developed into and sent out as church planters, marketplace missionaries, and/or kingdom-hearted church members. We believe that if we want to be a church that plants churches that plant more churches, then we need to be laser-focused on equipping leaders, multiplying disciple-makers, excelling in our giftedness, and sending for the Kingdom. On June 26th, we launched our very first residency at Shandon. We have 12 church members and staff committed to piloting residency at Shandon over the next year. As we grow together through hands on ministry experience, seminary level reading, and intentional discipleship methods, our initial curriculum and process will be finalized. Simultaneously, we will begin seeking 2019-2020 residents from within Shandon Baptist and through relationships with our State Convention and SBC Seminaries. So how can you be a part of Shandon’s Residency? 1) Pray: Yes. Everyone can do this! We need you to pray for our pilot team – that we would grow together and set the standard for the many residents to come. Pray also for our long-term vision as a church. Do you believe that we are going to be responsible for 5 church plants in the city of Pittsburgh over the next 5 years? I believe it with all of my heart. Pray that God would raise up teams of Shandon Baptist Church members who will step out in faith, commit to residency, and be sent for the kingdom! 2) Share: I am asking you to share the news of Shandon’s Residency with people in your sphere of influence who might need more training before being sent out as a church planters, missionaries, or kingdom-hearted church members. 3) Apply: Are you wrestling with a call to church planting, long-term missions, or being sent as a core member of a church plant team? Then apply. I dare you! Email me at for more information.